When it comes to DIY horse care I’m all for putting in a little blood, sweat (and usually tears) to help save a few bucks. After all horse care is rarely cheap, or easy. Luckily, I’ve put together 10 great ideas that are the exception to the rule! These tips are so simple it makes me wonder why I didn’t think of it myself. Pour Palmolive Dish Soap into a heavy duty resealable plastic bag and freeze. Palmolive brand will not freeze solid (some other brands do, so you can experiment). After a few hours you’ll have a low cost, nontoxic, reusable and fully flexible cold pack. If the bags leaks, just wash it off. Genius! Cut the bottom out of your used socks for easy leg protection. 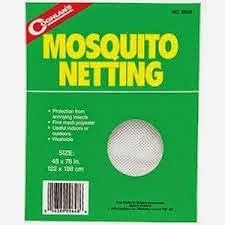 These are perfect for keeping wounds covered and bugs at bay. You can even apply fly spray (try my Easy Homemade Fly Spray) or essential oils. Just make sure the socks fit securely before leaving your horse unattended. Freeze gallon jugs of water to help keep your trough cool in the summer. Alternatively you can use hot water to help prevent freezing in the winter. Horses seem to love playing with them too. Don’t throw out those used syringes. Give them a thorough washing and fill with apple sauce as a treat for your horse. Keep your boots in perfect form with these inexpensive pool noodles. 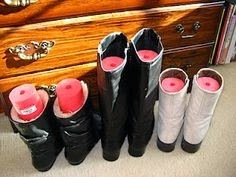 They’re great for drying and makes for a tidier boot room. Put olive oil on a soft cloth and rub into the leather in a circular motion until the scratch disappears. 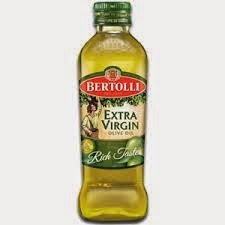 Wipe off any extra oil and you’re done! 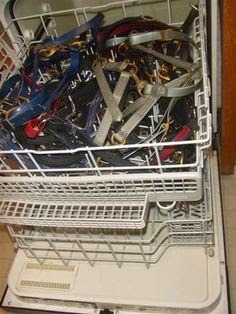 Use your dishwasher to clean any non-leather horse tack. So far I’ve tried bits, stirrups, halters, girths and lead ropes. 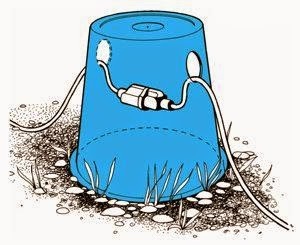 Drill two small holes in a overturned bucket to protect your power cord connections from rain and snow. Get an inexpensive indoor/outdoor thermometer to keep tabs on the temperature inside your trailer (without pulling over every 10 min!). Put the outdoor portion in the trailer and keep the reader inside the cab of the truck. Great for piece of mind while travelling, especially during extreme weather. Use mosquito netting to cover feed buckets if they’ll be sitting out before feeding time. This is great for keeping flies out in the summer and mice out in the winter, while still allowing air flow. I do this year round when soaking beet pulp. Check out my Do-It-Yourself page for more ideas! Do you have DIY Horse Care tips to share? I do leather work, if you have mold on leather, wipe with lemon juice, then oil. I love all your horsey tips and have shared several with my horsey friends. Thanks so much! How do you get the socks over the hoof? Lift horses hoof and pull over the sock from the toe, up over the hoof and stretch it up over the leg…as you would your own foot/leg? These are great tips thank you. the socks stay over the hoof for 5 seconds. over the knee for about 30 seconds. a complete waste of time.